Roy L. Hinuss is the authorized biographer of the Charming Royal family. He is also fond of the occasional fart joke. When he isn’t writing about Prince Carlos Charles Charming’s many adventures, he can be found in his basement laboratory making batches of homemade Brussels sprout ice cream. 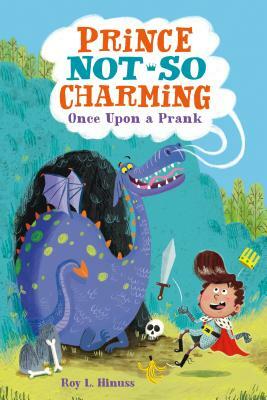 Matt Hunt is the illustrator of the Prince Not-So Charming series of young readers books, including Prince Not-So Charming: Once Upon a Prank and Prince Not-So Charming: Her Royal Slyness.